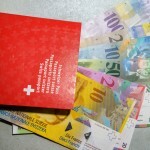 According to Swiss broadcaster RTS, the number of British citizens applying to become Swiss has risen sharply. The steepest rise was in the canton of Vaud, where the number rose 71% in 2016. 473 applied in 2016, compared to 276 in 2015. In Geneva the number rose 60% from 90 to 145. In 2015, there were around 41,800 British permanent residents in Switzerland, according to Switzerland’s Federal Statistical Office. Of these around 9,100 lived in Vaud, 7,100 in Geneva, and 9,200 in Zurich. The 473 applications in Vaud in 2016 represents roughly one in twenty permanent residents. Given some included in the 9,100 total would have been Swiss already, the percentage of British without Swiss nationality applying is likely to have been far higher. Across Switzerland, RTS says that 687 British citizens successfully became Swiss in 2016, up 11% from 617 in 2015. 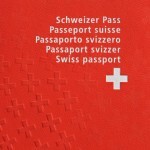 However, the process for becoming Swiss is long, typically taking two years. This means many of those obtaining citizenship in 2015 and 2016 probably applied in 2013 and 2014 before the Brexit referendum. It will take time for recent applications to reach the citizenship stage. The phenomenon is not confined to Switzerland. Last week the newspaper Le Monde reported a 254% rise in applications for French citizenship in 2016, and the newspaper the Independent reported a 361% rise in applications for German nationality. In Switzerland there has been a rush to apply across all nationalities. New restrictions, which come into force on 1 January 2018, will make it harder for some to apply. At the same time the British led the way. In Vaud, applications from French and Portuguese nationals rose only 33% and 30%, compared to 71% for British nationals. Etienne Piguet, an immigration expert from the University of Neuchâtel, told RTS that the increase is not only driven by Brexit. 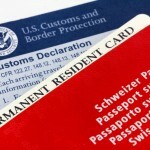 The Swiss vote on 9 February 2014 to tighten immigration rules has also raised concern among foreign nationals, who he thinks want to safeguard their current situation. Two more reasons why some people might be drawn to Swiss citizenship.